Durable, mobile monthly calendar with smooth surface, designed for organizing daily tasks and on-the-go planning in contemporary work environments. Lightweight for easy transport between personal workstation and meeting rooms. Extend surface life with regular cleanings using Quartet cleaning solutions. Built-in swivel hangers attach to most office surfaces, including cubicle walls. 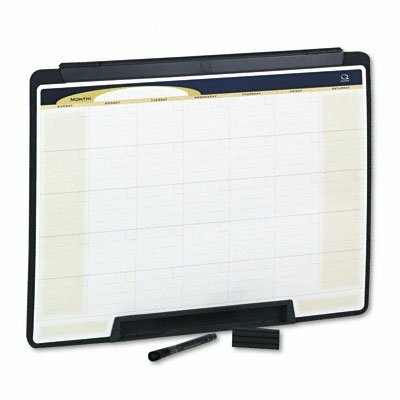 Accessory tray, one Quartet dry-erase marker and one board eraser included.